This nourishing abundant and velvety conditioner will keep your hair looking straighter and frizz-free, and will leave your hair sensation soft, smooth and smooth. 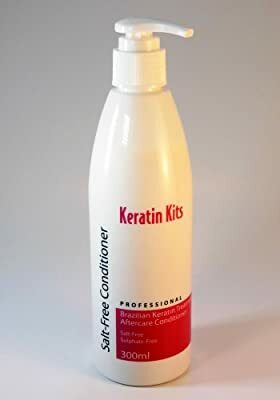 Keratin Kits conditioner has actually been specially created to be salt-free and sulphate-free to assist lengthen the life of your keratin treatment. The conditioner is salon-quality yet affordable and comes in a helpful pump dispenser for ease of use. 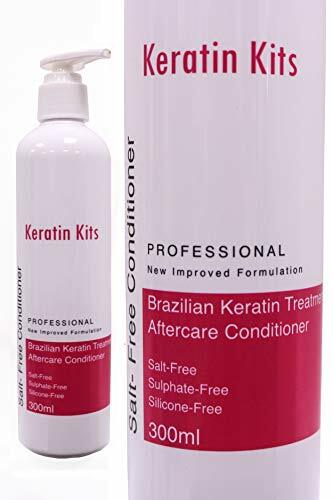 For finest results use in combination with Keratin Kits Salt-Free Aftercare Shampoo. KEEP IN MIND: Hair treatments can trigger allergic reactions. A skin level of sensitivity test should be carried out 48 hours prior to use. Inflammation might also take place for this item.